One of Joltie basic fighters that was made by her scientist Dr. Sparks and powered Joltie's Flash Virus. These ship can reach half of the speed of light but after jumping out it has to charge for 20 mins. For weapons its got four basic lazer guns a fast rapped fire. it also can fly by itself or with a pilot. Being a ship of masive size it can only do a light speed jump after charging for 24 hours but luckly its has two power sorces so when it jumps out of light speed its not helpless well it charges. For weapons its got 11x cannon that fire energy that can do masive damage to any Destroyer know. The great cannon on the top is said to be powerful enoth that it can hit it target from half way across a solar systum. 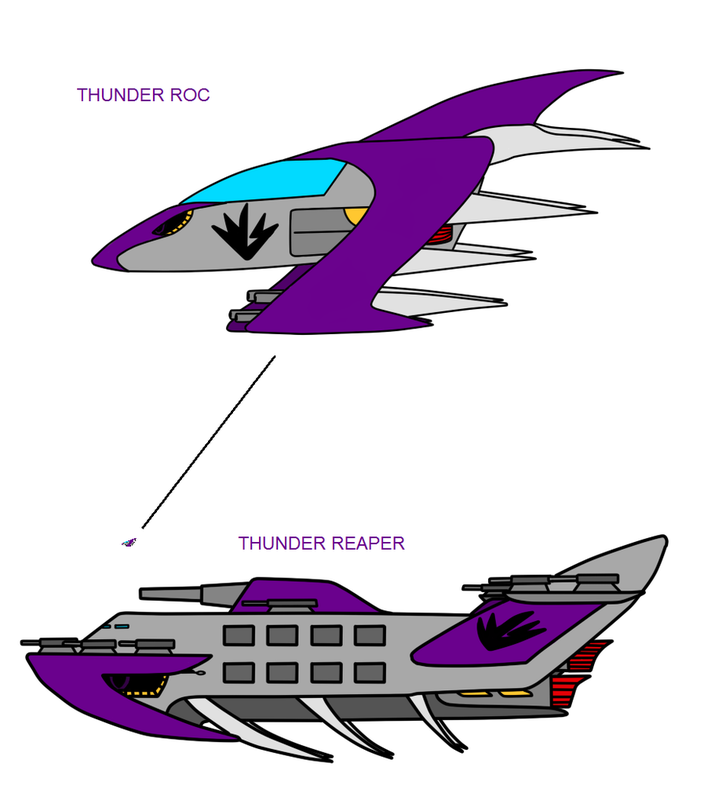 Another feature about the Reaper is when a Roc is destroyed it will respond in one of its 16X respond chambers. a single reaper can have up to 550x Roc with it also giving the reaper the nickname "The Hornet's Nest." Joltie: LOL from in her captain's chair.